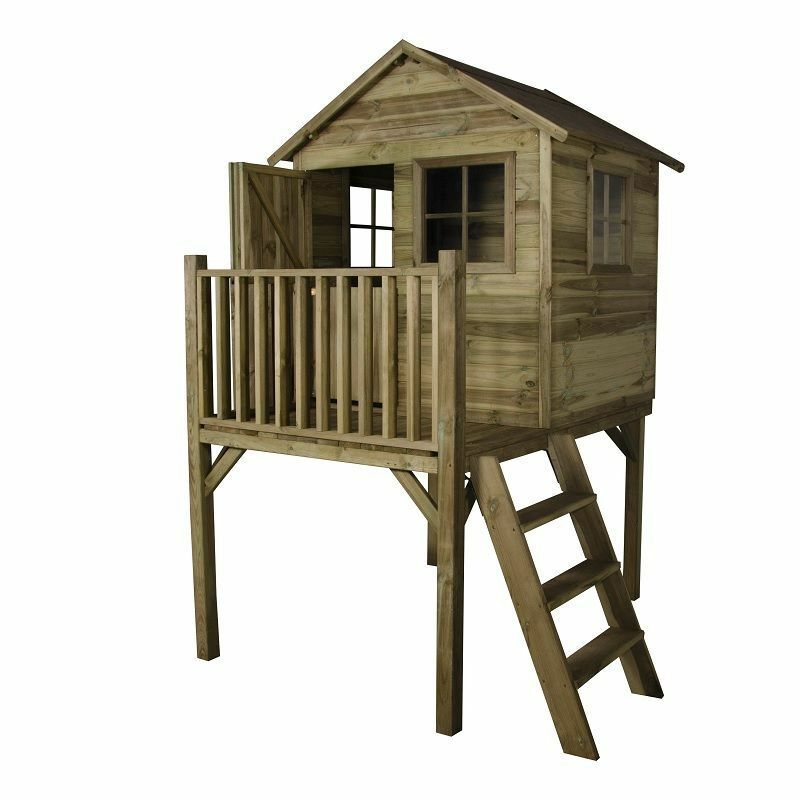 This gorgeous Sage Tower Playhouse will entertain your children for many years to come due to its extra eaves height – they won’t grow out of it before they are ready to. The Sage Tower Playhouse has the added excitement of being raised off the ground on stilts, giving it a fortress appeal and great views. 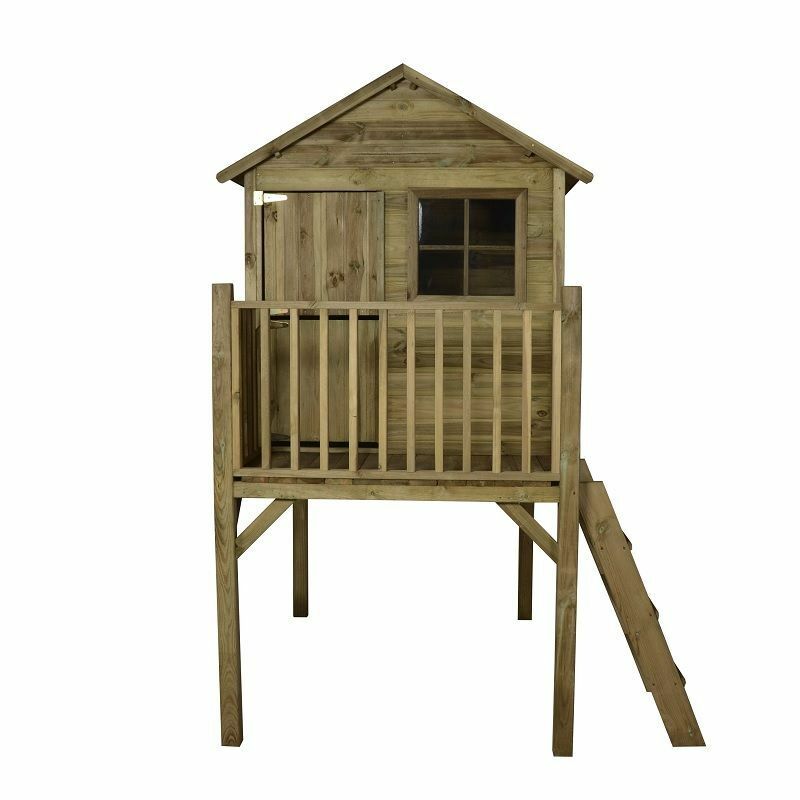 In addition to the internal accommodation, there is a raised deck area outside with banisters for safety and a robust 3-step ladder for getting up and down to the playhouse and deck. Pressure treated 12mm Tongue & Groove wall cladding is weather resistant, ready to use without additional treatment and guaranteed for 15 years against rot. 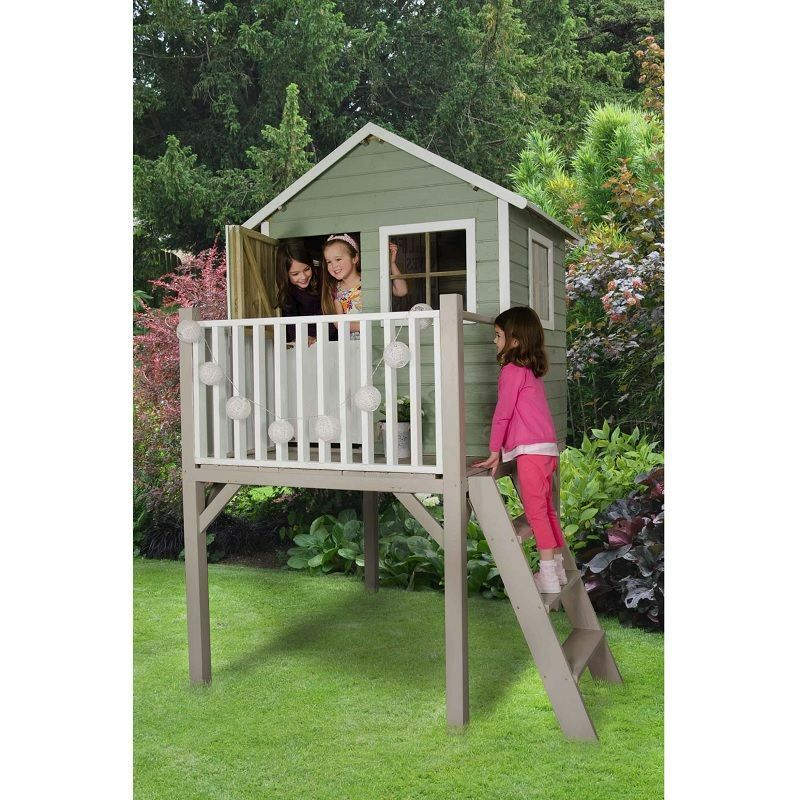 Playhouse is supplied untreated and unpainted to allow you to paint or stain the wood to your children's tastes. 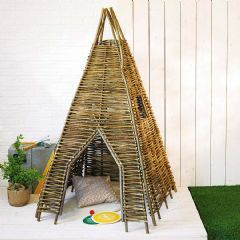 Kids love it and it looks good. It's roomy for a kids play house but tricky to put up with basic instructions so was a good job dad is a dab hand with a drill.